The original agency catalog description reads: Audience: United States Air Force (USAF) Management Personnel. Synopsis: Begins with launch countdown then flashbacks to missile component arrival at White Sands Missile Center. Covers missile processing, checkout, pre-launch, launch, and concludes with preliminary test results. Purpose: Engineering report on first flight test. Chicago: “War and Peace in the Nuclear Age; Haves and Have-Nots; Peacekeeper First Launch, 1982,” 01/01/1982, WGBH Media Library & Archives, accessed April 24, 2019, http://openvault.wgbh.org/catalog/V_E93CF04CBDAC4C85BBFFCC5ED5E683D4. 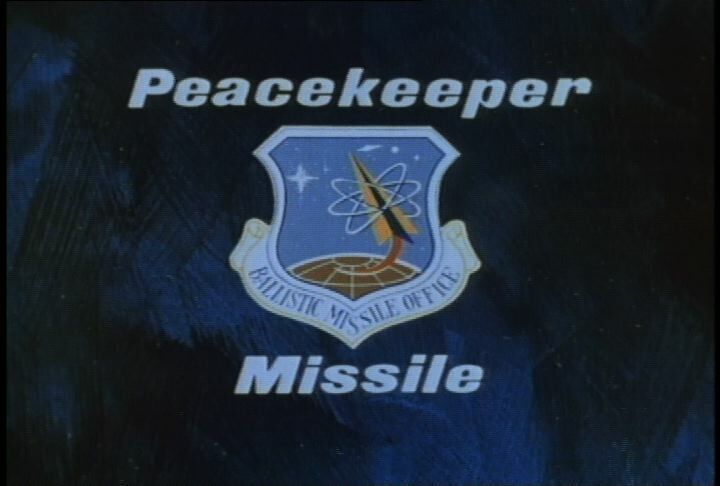 MLA: “War and Peace in the Nuclear Age; Haves and Have-Nots; Peacekeeper First Launch, 1982.” 01/01/1982. WGBH Media Library & Archives. Web. April 24, 2019. <http://openvault.wgbh.org/catalog/V_E93CF04CBDAC4C85BBFFCC5ED5E683D4>.